Universal Credit is designed to ensure that for people who can, work is still the best route out of poverty and an escape from benefit dependence. The aim of Universal Credit is to increase labour market participation, reduce worklessness and increase in-work progression. The conditionality regime will recast the relationship between the citizen and the State from one centred on “entitlement” to one centred on a contractual concept that provides a range of support in return for claimant’s meeting an explicit set of responsibilities, with a sanctions regime to encourage compliance. 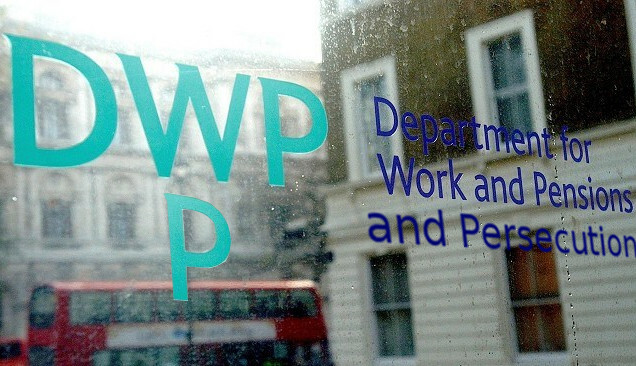 A series of Freedom of Information (FOI) responses from the DWP reveals that the new regulations turn the opinion of even junior Jobcentre Plus (JCP) advisers into law, place them in a position of despotic omnipotence over benefit claimants, and turn claimants – even working ones – into helpless chattels shorn of power, choice or recourse if unreasonable expectations are placed on them. A claimant will be expected to devote the same number of hours to work search in accordance with this action plan as we would expect them to be available for work (up to a maximum of 35 hours a week). Is affordability of the work search/preparation taken into account by the Adviser? The average cost of Job seeking prior to 2012 was around £2-£6 per week assuming no job interviews secured, the Jobseeker visited the Jobcentre once a week to look for work, checked the local press, made 1 or 2 job applications and asked family/friends. Claimants were not required to pay Council Tax . £6 a week when you’re on as little as £56 a week in benefits is a huge amount of money. But now claimants can be expected to attend the JCP more than once a week – in fact, as often as the adviser decides is appropriate as part of the CC. Council tax support is far less available, and the price of essentials like food has risen steeply. The costs associated with the activities likely to be involved in a 35-hour work-seeking week are very likely to be (to use the government’s favourite word for NHS hospitals) unsustainable. Claimants have a right to query the conditions of a CC – but if they refuse to sign it and ask for it to be reviewed, it will merely be looked at by another JCP adviser, not by a more specialised ‘Labour Market Decision Maker’ (LMDM). As we’re already well aware, the DWP has no qualms about asking JCP advisers to carry out tasks for which they have no qualifications or experience. A decision by an adviser-level JCP employee is perfectly likely not to take into account the full range of circumstances faced by a claimant – and a review by another adviser, who will face his/her own pressure to conform and not to offend a colleague or possibly incur the wrath of a supervisor, in no way guarantees that bad decisions will be overturned. Especially in a context in which – as we know in spite of government denials – all of the advisers in a JCP are likely to be under pressure to meet covert targets on the number of sanctions the JCP applies. There is no right of appeal if a claimant refuses to accept their Claimant Commitment and the requirements that have been set out in it. Under this new system, a JCP adviser – who might be incompetent, inexperienced, bitter, have a personality clash with the claimant or just simply be having a bad day – is the final arbiter of whether a CC is reasonable and achievable, and even a patently bad decision cannot be appealed for a higher opinion. And if a claimant refuses to sign? If the claimant still refuses to accept their Claimant Commitment then he or she will no longer be entitled to claim Universal Credit. Refuse to sign something that might be realistically unachievable – and receive nothing. Could a more coercive and arbitrary situation be imagined? if a claimant fails to carry out any of the work related requirements set out in their Claimant Commitment this will be referred to a Decision Maker for consideration of whether a sanction should be applied. If a claimant has good reason for not carrying out a particular work related requirement then a sanction will not be applied. But this is asking someone to accept a set of conditions knowing they can’t fulfil them – and then put themselves in the hands of a person whose qualifications, motivations, reasonableness and parameters are entirely unknown, in the hope that they’ll agree not to immediately cut off his/her benefits. That reminds me of something. What was it? Oh, that’s right. and I’m sure you can think of other pitfalls and problems. We’re left with a situation in which it’s perfectly likely that someone will be expected to sign an unrealistic CC – and summarily deprived of all financial support if they refuse. Once coerced into signing this unrealistic commitment, they then face a financial ‘Russian roulette’ where the whim of an unknown person of unknown competence will decide whether a failure to comply was ‘reasonable’. All with no guarantee, or even likelihood, that the decision will be impartial. It’s absolutely obvious that advisers working together in a JCP office will often form friendships and a sense of loyalty to one another. It’s only human to find it difficult to judge impartially in those circumstances, and there will be a clear pressure to ‘back up’ one’s colleague, and a fear of upsetting a fellow adviser by overturning a decision. It will therefore be extremely difficult to find an impartial adviser to judge a request for review – and even an impartial one will be judging based on personal experience and emotion rather than on professional qualifications and clear criteria. Public servants do not get it right every time, so there must be a form of redress that is impartial and fair for claimants. Public Bodies do not always treat people with sensitivity, bearing in mind their individual needs, and respond flexibly to the circumstances of the case in every instance; doctors for example, can get this wrong at times. Public bodies do not always deal with people fairly or with respect. There is no doubt at all that the new UC system completely fails to make available an impartial and fair ‘form of redress’ as outlined by the Ombudsman. Let’s look at a real-life scenario. The DWP operates a Universal Jobmatch (UJM) system that jobseekers are expected to use to look for jobs – but the UJM system has been shown to be seriously flawed and even a vehicle for various scams. It also contains serious security issues that risk revealing jobseekers’ private information to people who shouldn’t have it. Jobseekers are frequently pressured to use the system and told that they might be sanctioned if they don’t – but our ex-JCP manager advises me that there is no legal obligation whatever for jobseekers to use it. They can use any available method of jobseeking, online or offline. Under the UC system, the illegality of a sanction applied for failing to use UJM will become irrelevant. A JCP adviser has no legal right to apply a sanction for not using UJM – but if they do, and a colleague from the same JCP and therefore likely to be similarly ill-informed agrees, then the sanctioned person has no right of appeal. Yet again the government, via its ludicrously corrupt and vicious Department of Work and Pensions’ is showing a staggering degree of contempt for those in society who need help and support, and a complete disregard for the life and wellbeing of human beings in our society who find themselves in need of that support. Support which, as the government baldly states, is no longer the ‘entitlement’ it should be in a civilised society, but is instead something for which people are forced to sign unfeasible contracts that merely set them up to have that support snatched away arbitrarily – on the ‘godlike’ whim of JCP advisers of unknown competence and who might well be under pressure to hit sanction targets. And all, if we’re to believe this lying-if-their-lips-are-moving government, because it’s the best ‘route out of poverty’. Yeah. Like the best cure for a headache is decapitation. Many, many people in this country will not survive a 2nd term of this government, or any part of it. And the way the rules are constructed shows that the Tories are ‘perfectly relaxed’ about that. 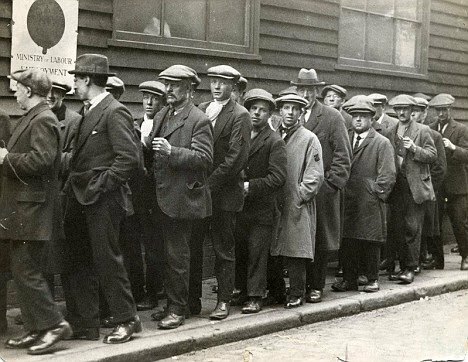 They want to take us back to the 1920s of soup kitchens, means-testing and stigmatised poverty. Claimant sanction centre, It makse no diffference how long you have worked what age you are how hard you Try , all of the so called Training and back to work progames are a way aof getting a sanction . Letters sent out after the date you should Attend ? reschedule an appointment beacause you have an intervire and proof of the interview? beacause you have an intervire and proof of the interview? can you say this is a way that you should treat a person THIS IS JUST DISGUSTING AND WRONG. Every unreasonable decision should be referred for judicial review. The application for this is still free for those on a low income. In cases where the decision needs to be remade/amended urgently (for example if you have no money for food) a special application can be made for a decision within 24 hours. If everyone aggrieved by a decision did this they would soon have to set up some independent Tribunal to hear challenges to DWP decisions rather than clog up the High Court.